That’s what an office manager for a large legal practice said to me recently. She said it after I explained how using an office shredder still puts her practice at risk. The risk is certainly there for those using small, personal shredders at home, also. There are a couple of reasons why this is the case. First, there’s commercially available software that reconstructs shredded documents. It’s real, it really works, and it’s being used today. In most cases, it’s being used by law enforcement agencies, security companies, investigators, and some government agencies. However, it’s also being used by people who want get their hands on sensitive information and use that information for purposes that would cause havoc at your company or organization. LIKE THIS INFO? LIKE OUR SHRED360 FACEBOOK PAGE FOR MORE TIPS AND ARTICLES! Second, disco may be dead, but dumpster diving is also real and it’s alive and well in 2015. We tend to forget about physical (non-electronic records, such as paper documents) data breaches because we hear so much about electronic breaches like the ones affecting Target and Home Depot customers. But physical breaches are extremely common, especially for small to medium-sized companies that often believe data protection measures are only for the big guys. When you combine dumpster diving with software that can piece together shredded documents, what you get is enormous potential for identity theft, fines (up to $1.5M in some cases), and negative publicity. A certified onsite shredding services company can protect your employees, your customers, your company’s bottom line, and your reputation. And guess what…in most cases, it’s less expensive than using that office shredder that you’re holding on to so tightly. For those of you ‘shredding along at home’, these risks are just as applicable to you… Shred360 takes care of hundreds of individual residential consumers each and every year. 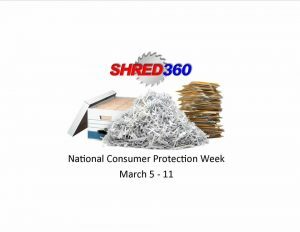 For more information about certified onsite shredding or tips on how to protect yourself from identity theft, visit www.shred360.com, or reach out to us at info@shred360.com. We promise a prompt reply! Thanks to Cam Caudle of Shred360.com/Tampa for this great article! Phone Scam Alert! Have you ever answered the phone to find that the other end was silent? BE AWARE of this phone scam! These calls are referred to as ‘robocalls,’ which are automated telephone calls that call thousands of numbers. When the other end of the line is silent, it could actually be an automated computer system that’s calling for the purpose of building a list of humans to target for theft. These silent calls are testing phone numbers to see which ones have a human to pick up and talk to someone. When you answer, or even just make a sound, the computer system saves your phone number as a target. You then receive a call trying to gather information about your bank or credit card account with a prerecorded voice that gives you instructions such as “[we’re] calling with an important message about your debit card. If you are the cardholder, please stay on the line and press 1. Otherwise please have the cardholder call us at 1-877…” That number then leads you to another system that will ask for information such as your birth date, Social Security number and your card number and PIN. Screen your phone calls. Anytime a number calls you that you don`t recognize, let it go to your voicemail. Anyone calling for a legitimate purpose will leave you a message so that you can call them back. You`ll also be able to avoid answering unwanted calls. Just hang up. If you answer a robocall, hang up immediately. If you`re given an option to ‘press 1 for more information or press 2 to be removed from the list,’ ignore the instructions and hang up. Do not give out any information over the phone. Be leery of anyone that calls you asking for your Social Security number, birth date or credit card/ bank account information. Don’t verify any information over the phone that a potential scammer may already have on you – such as date of birth, address, last four digits of your SSN or Credit Card number. Call ‘THEM’ back. If you receive an unsolicited call and the person on the other line claims to be from your bank or credit card company, get the person’s name and then call back using the published number for your bank or the one on the back of your credit card. Don’t believe the number showing on your caller id. These numbers can be easily ‘spoofed,’ or deliberately falsified. The whole point of Facebook is to share your life with other people. You probably have more than a few friends who fall into the over-sharing category. Before you snicker, you may be one too and not even know it. Here are FIVE personal tidbits Facebook asks you to share that you’re much better off keeping to yourself. It’s a really bad idea to add your home or cellphone number to your Facebook page. Prank callers, stalkers, scammers and identity thieves would love to use this information against you. Not only that, but there’s a Facebook trick that works pretty much most of the time. Anyone can use your phone number to search and find your Facebook page. One security researcher, Reza Moaiandin, took it a step further and found he didn’t even need to know a specific phone number. He wrote a program to generate every possible number in the U.S., U.K., and Canada. Then he submitted the numbers to Facebook and got back information from millions of profiles that had poor privacy settings. If he had wanted to, he could have turned around and sold the information on the black market to hackers who build and sell “fullz” or packages of identity information. If you do give your phone number to Facebook, be sure to hide it in your profile. Go to Facebook and click on your name at the top of the page. When your profile page loads, click the “Update Info” button in the lower-right corner of your cover image. Go to “Contact and Basic Info” in the left column and next to your phone number click the “Edit” link. Click the “audience selector” icon, which will either be a globe or a silhouette of two people and change it to “Only me.” Now no one can see your phone number, and it won’t show up in searches. Post a picture of your recent vacation or major new purchase and this puts you at risk. Think for a moment of all the terrible things that might happen if some nefarious person knew your home address. Remove it from your Facebook profile. One other place you might not think about your address being is under events. If you create an event, it will likely have your address so people know where to go. If that accidentally gets set to Public, then anyone can see it. Either delete the event right after it happens, or tell people attending to message you for the address. Be sure to check back through your history to get rid of any old events or posts that have your address in them. Try not to leave any information on your Facebook that reveals where you work. If someone from your workplace tries to search for employees on Facebook, they might find a post or photo that they don’t like. Similarly, if a hacker wanted to figure out whom to target if they wanted to break into your workplace’s computers, social media would be their first stop. Of course, they’re more likely to hit LinkedIn first. Again, you can use Facebook’s timeline tools to do a scan of your past posts. Remove any information about your current job, especially if it’s of a complaining nature. If you have posts about previous jobs, you might want to remove those as well. A current coworker or supervisor you decide to friend might see them and it could color their opinion of you. Don’t forget the scammers out there who specialize in sweetheart scams. They use social media, email and dating sites to create a romantic connection with you and then swindle you out of money. You don’t want them to see that you’re single on Facebook and get ideas. It’s easier to just remove your relationship status entirely. This also keeps it out of the hands of any hackers who break into your Facebook profile. Follow these tips to ensure a safer, more enjoyable Facebook and online experience. Shred360 is extremely proud to boast a status that we believe no other secure shredding company (anywhere!) has yet accomplished. We are now proud to announce four new Certified Secure Document Destruction Specialists! 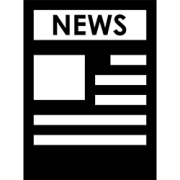 John Anderson, Cam Caudle, Michael O’Hara and Ryan DuBose now join James Christie and Greg Shealy as Shred360 staffers that have attained CSDS status. Shred360 now boasts SIX employees that have attained this difficult accomplishment. The National Association for Information Destruction launched the CSDS Accreditation Program (CAP) in 2010 to promote and acknowledge an indiviual’s competency in a range of subject areas related to the secure destruction of information and the secure destruction of other items. The CAP is separate and distinct from the NAID AAA Certification Program, which verifies the ongoing compliance of an organization’s secure destruction services with established security and operational standards. NAID AAA Certification applies to an organization whereas CAP applies to an individual. Shred360 is also proud to be NAID AAA Certified. ‘Becoming a CSDS is a major achievement,’ says NAID CEO Bob Johnson. He adds, ‘While there are some industry professionals who have a grasp of one or another of these areas, it is a remarkable accomplishment to demonstrate expertise in all of them.’ The CSDS exam establishes an individual’s competency in seven subject areas, consisting of questions about data protection legislation, physical security, risk management, operations, and records management.